What it is: Hair perfecting miracle worker – Caviar based formula intensely repairs damaged hair with a gorgeously glossy finish. Winner of Harper’s Bazaar Beauty Awards 2012. What it does: This weightless leave-in serum is fortified with a cocktail of vitamins, amino acids and peptides that regenerate hair from the inside out. Structuring proteins bind to hair creating a seal that locks in moisture and protects against heat styling and oxidative stress. 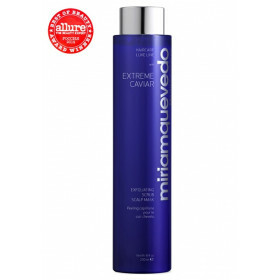 It also conditions and smoothes hair’s surface to eliminate frizz and imparts unprecedented shine while restoring hair's electrical balance. Who it’s for: For all hair types, but especially beneficial for color and chemically-treated hair or hair exposed to harsh environmental conditions. What it’s free of: Formulated without Parabens, Mineral Oils, Phthalates, Paraffin or Petrolatum. 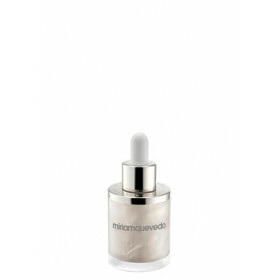 Apply a small amount, working it in gently with your fingertips, lock by lock, with downward strokes. 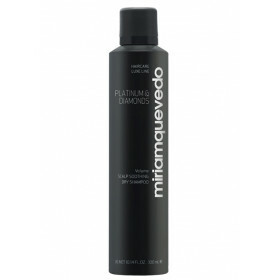 Apply to shampooed and towel-dried or dry hair. DO NOT RINSE FROM HAIR. Brush and style as usual. Multi-vitamin B Complex: Cocktail of five B vitamins (Thiamine – B1, Riboflavin -B2, Nicotinamide - B3, Pantenol- B5, and Pyridoxine - B6), defends against oxidative stress, increases the protective and regenerative properties of hair´s natural keratin and promotes healthy hair growth.